For a car that had a rather odious beginning as a people’s car commissioned by Adolf Hitler, the Beetle came to be loved by multiple generations of basic transportation seekers on every continent with the possible exception of Antarctica. Originally promised to Germans who saved the requisite amount of Reichsmarks, it wasn’t until after the war that a Beetle was delivered to a private customer. Beetles of the 1950s and 1960s were marked by evolutionary rather than wholesale changes. A minor increase in horsepower and displacement and several different rear window designs (a small split window, a small oval window and a larger window) was about it through 1967. The 1960 “Think Small” advertising campaign is still studied in marketing classes around the world. 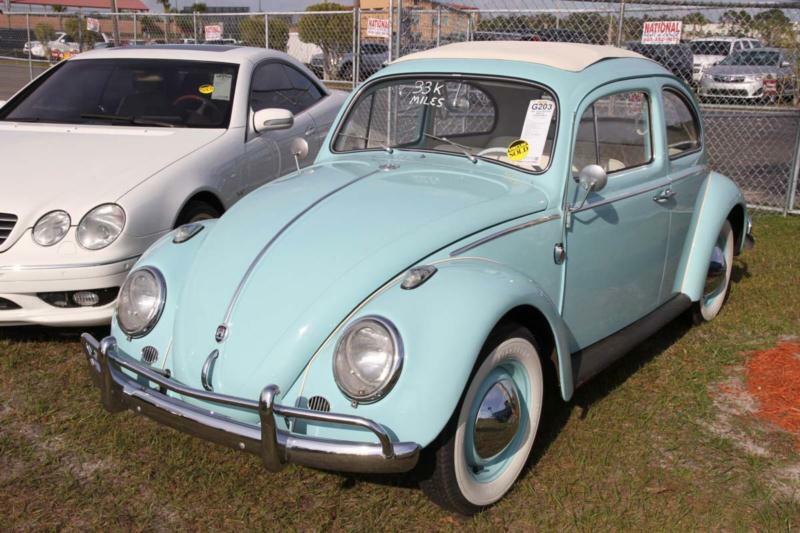 Throughout most of its life in the U.S., the Beetle was offered in sedan and cabriolet body styles. Pre-1968 Beetles were inexpensive but never cheap. They were well-assembled, used first-rate interior materials and have a charm that’s lacking in later cars. Just about every part for a Beetle is readily available and most are quite inexpensive.